Five-star tower defense with unrivaled depth and replayability. Now with rewarded leaderboards for even more fun and challenge! 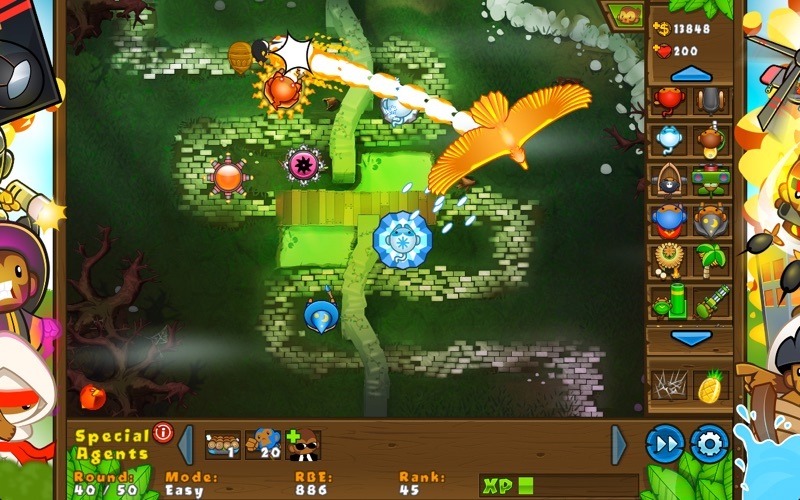 The Bloons are back in full HD glory and this time they mean business! 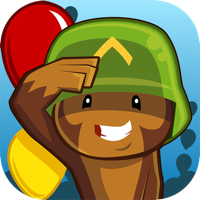 Build awesome towers, choose your favorite upgrades, hire cool new Special Agents, and pop every last invading Bloon in the best ever version of the most popular tower defense series in history. 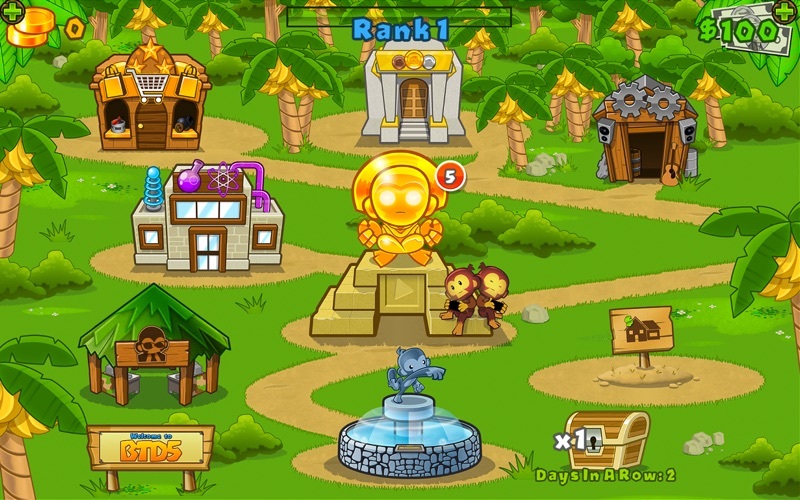 Featuring an all New Tower and Special Agent, glorious retina graphics, original Tracks and Special Missions, a whole new tier of Specialty Building upgrades, and a never-before-seen Monkey Lab to upgrade your towers, Bloons TD 5 delivers hours of fun and challenging play to fans and new players alike. 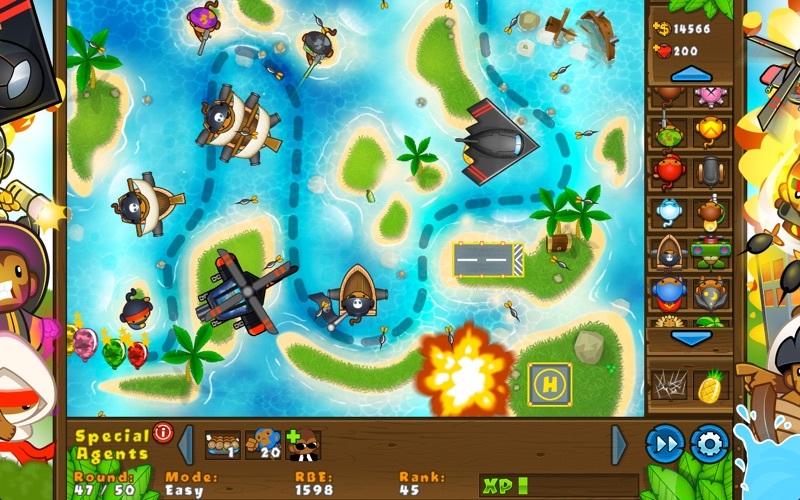 “Nations need to brace themselves for a complete loss of productivity” - Jayisgames, 4.7/5.0 More Awesomer New Features: - Cool new towers – Heli Pilot, Bloonchipper, Engineer - Exclusive new Special Agent – Radadactyl - All new Monkey Lab – researches unique abilities and tower upgrades - Specialty Building Tier 4 Upgrades - Exclusive tracks Hours and Hours of Awesome Gameplay: - 21 powerful towers with Activated Abilities and 2 upgrade paths - 10 Special Agents - 40+ Tracks (plus their Reverse versions!) - 10 Special Missions - 250+ Random Missions - New Bloon enemies - tougher Camos, Regrower Bloons, and the fearsome ZOMG - 50+ Game Center Achievements and Challenges - iCloud Support - 3 different game modes - Freeplay mode after mastering a track - 3 difficulty settings and family-friendly theme so anyone can play And that's just the beginning - heaps of planned updates will keep Bloons TD 5 fresh, fun, and challenging for many months to come. Now it's time to pop some Bloons! Remember to save to iCloud after each victory or consumable purchase to save your progress. You won’t win, except on easy or medium, sometimes. The game is intended to make you spend more money. Buy more towers, and try to win. It won’t happen. Play it. You’ll see that it is totally loaded for the maker to make more money. Absolutely love this game. But it completely died on me one day and now I can’t open the app. It tells me I need to re-download it. But when I do it just says the same thing. Wasted $10 buying it and you can’t even play it. I love this game, however I can’t sign on to facebook from my MacBook Pro but I can on my iPad. I want to be able to link my progress so it is frustrating. Can this be fixed? Also, I have a suggestion to add what rank is need in the tower description. 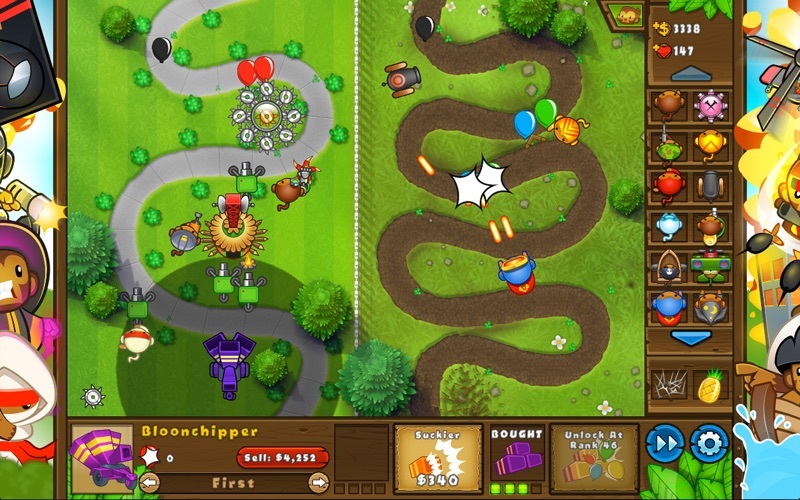 Also, it would be nice to include in the towers different level descrtiptions, what bloons they specialize in destroying. Private match making doesn’t work :( Can not connect with friends on game center. The “create private game” feature does not allow me to connect to a friend over game center. 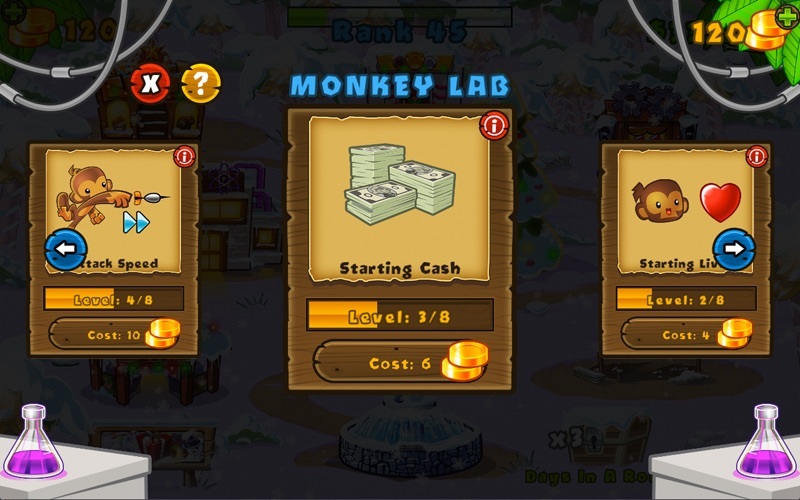 I know that game center was recently changed but it does not seem like BTD has updated this change in their game. Great game when it opens, but very rarely will it work. Constantly crashes at the Ninja Kiwi loading screen, taking me back to my dashboard. Horrible bug. Game would easily be 5 stars if it worked..